I was never a major bread addict before I started eating paleo; still it’s nice to have a piece of toast every now and then. Since I am trying to lean out right now (decreasing carbs, increasing fat and protein), this bread is a great snack to keep me full and happy. 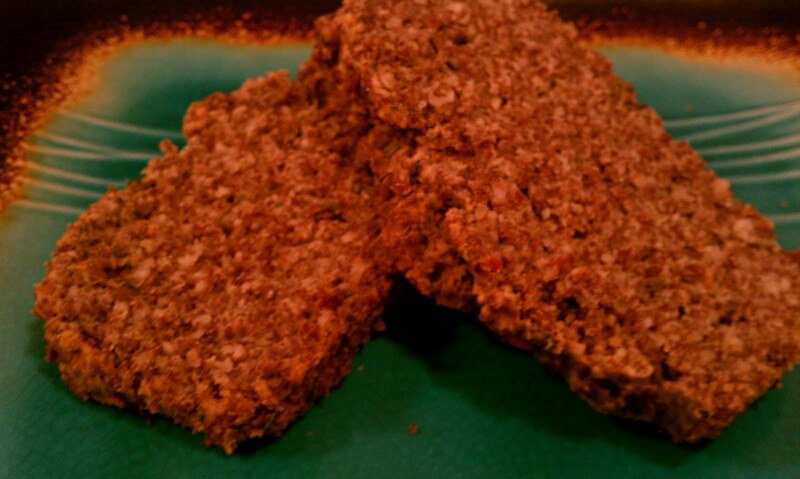 It only has 5.5 carbs per 42g slice (12 slices/loaf), 4.4g of which are dietary fiber, and 6.1g protein and 15.5g fat. I have the hardest time getting enough fat in my diet so this bread makes it easy. Plus between the nuts, flax and olive oil, it is packed with omega-3s! In a medium mixing bowl, add all dry ingredients except herbs and whole flax. In another bowl, beat the eggs with the oil and herbs. Adjust the amount of herbs based on your own taste preference. Add the wet ingredients to the dry, then add water and mix well. Pour batter into a greased loaf pan. 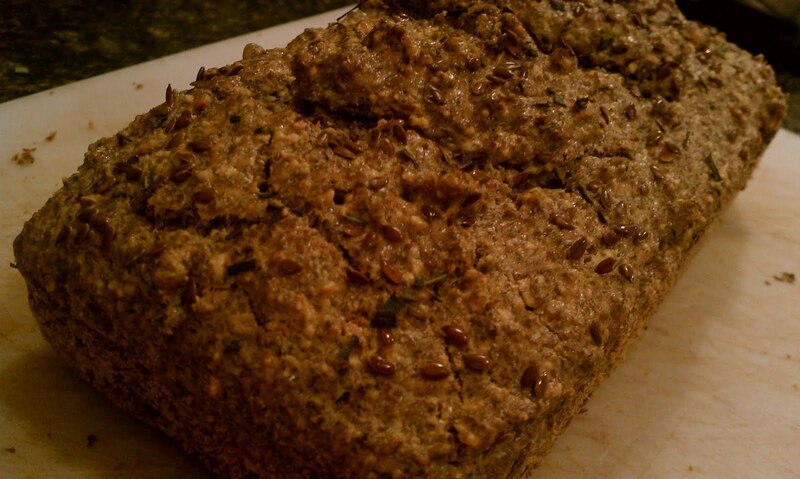 Sprinkle whole flax seeds on top. 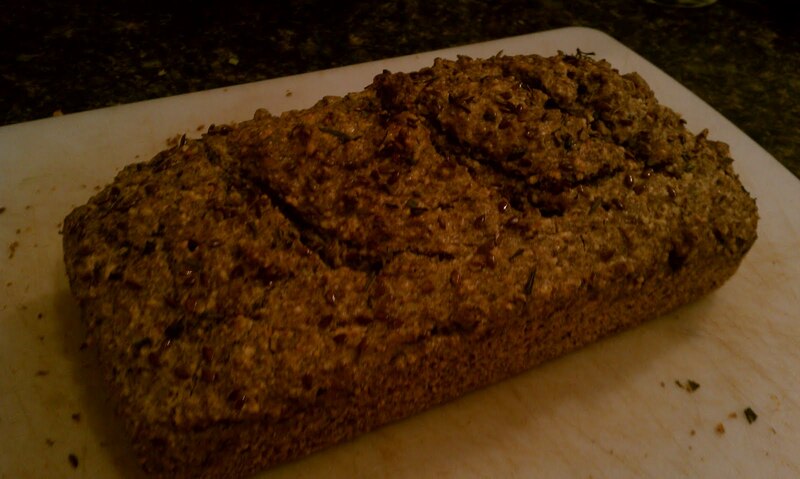 This entry was posted in almond, appetizer, bread, breakfast, flax, paleo, paleo baking, paleo diet, paleo recipe, rosemary garlic bread, side dish, snack by Jessica. Bookmark the permalink.